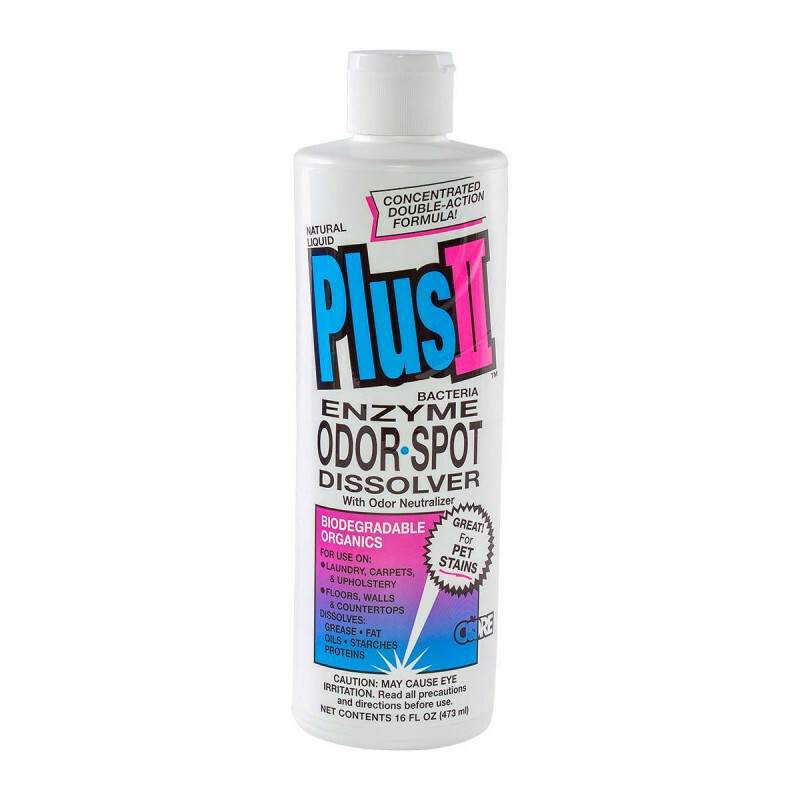 Plus II Odor & Stain Dissolver is a great way to treat the stains and odors that can come with pet urine and feces, as well as other biological stains like grease, vomit, and mildew. This enzymatic cleaner only works when it's wet, so make sure it doesn't dry out while working on your stain or spot. If it does dry out add some water to rehydrate, then let it remain wet for awhile. A thorough carpet extraction should follow the use of this spotter, or any other, to make sure any residue is removed.